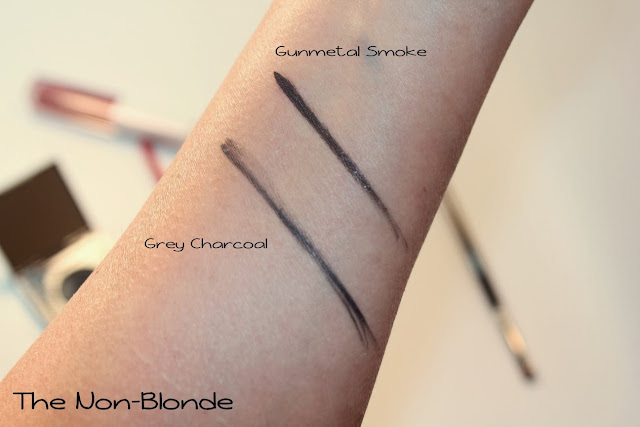 Fans of Laura Mercier Tightline Cake Eye Liner will be happy to see a new color, Gunmetal Smoke, as part of the Holiday 2013 White Magic Collection. I love this cake liners. 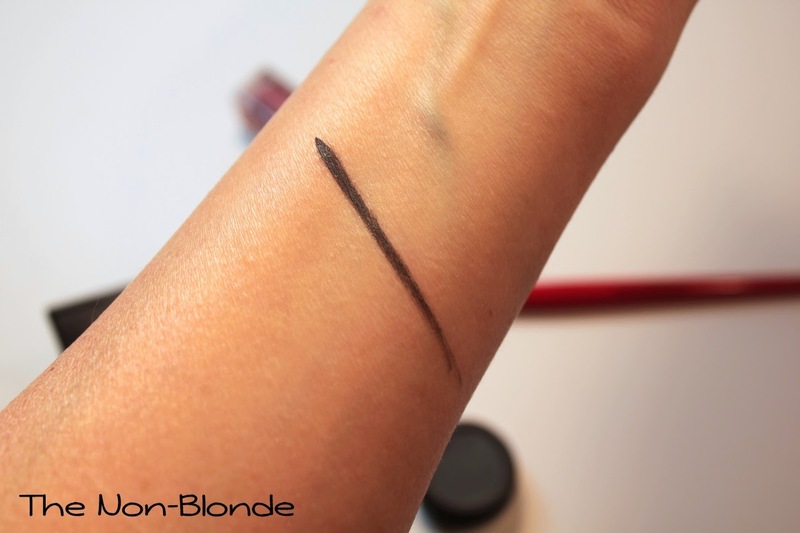 Their durability is the stuff of legends, and Laura Mercier has solved the dilemma of can we/should we use the product on the inside lashline for tightlining-- too many eyeliners on the market (unless specifically marked as khol) can cause irritation. I'm a devoted user of these eyeliners and have them in several colors. I don't have the Laura Mercier activators, but instead use either Visine eye drops or my trusty Paula Dorf Transformer to mix with the cake liner and make it into a paste. Gunmetal Smoke has a very subtle sheen (hence the "gunmetal" in its name). 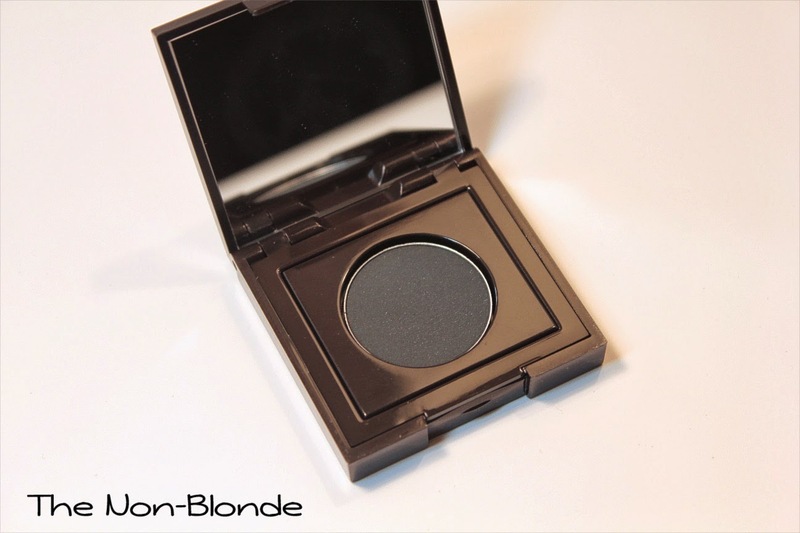 It's a darker color than Laura Mercier Charcoal Grey (and has less blue to my eye). It works for me as an "almost black" color that gives all the effect without a harsh contrast. It's pretty, it works with everything, and will see a lot of use even after the holiday season. Laura Mercier Gunmetal Smoke Tightline Cake Eye Liner ($23) is available at the counters and from Lauramercier.com. The product for this review was sent by PR. I love Laura Mercier's tightlining cake eyeliners. I also have two: Bleu Marine and Espresso Grounds (limited edition). Gunmetal Smoke looks like a lovely new colour that would suit just about anyone. I will look into this, thank you. I've long been a fan of LM cake eyeliners, Bleu Marine and the Black were my first two; looks like I'll be at LM counter very soon for a third! I think grey is a very nice addition to a neutral eye look without going overboard.